A look at seven key benefits Plantronics can hope to gain from its pending acquisition of Polycom. Today, March 28, 2018, Plantronics and Polycom announced that they have entered into a definitive agreement whereby Plantronics will acquire Polycom in a cash-and-stock transaction valued at $2 billion. I'm personally thrilled to hear about this move since I have been watching both companies closely for more than 10 years and I have always considered their portfolios highly complementary. Polycom is a leader in the open SIP desktop phone market, which continues to show growth, in spite of the widespread move away from hardware toward software communications and collaboration. Polycom has been shipping approximately 2 to 2.5 million open SIP endpoints every year for the last several years, with more than 60% of its shipment going into hosted/cloud-based telephony environments. While Plantronics has been doing a great job in the UCaaS space with professional headsets, Polycom's broad and leading portfolio of open SIP desktop phones definitely enriches the Santa Cruz-based company's overall value proposition, giving customers the option to choose the best devices -- desktop phones and/or headsets -- depending on their end users' needs. Polycom is an innovator and trailblazer in the tabletop audio conferencing endpoints space and has entrenched itself as the undisputed market-share leader. Marking its 25th year anniversary of providing conferencing and collaboration products, the company announced Polycom RealPresence Trio in October 2015, transforming the iconic three-point "starfish" audio conferencing phone into a smart modular collaboration hub. Since its launch, Polycom RealPresence Trio has clearly set a new landmark for the company's tabletop audio conferencing endpoints business. The device not only effectively expanded the company's target market, but has also raised the bar for the company's entire product line. Plantronics is, thus, not only gaining the most popular portfolio of audio conferencing endpoints in the world, but also receiving the new company jewel, Trio -- the fastest-selling conference phone in Polycom history. Let's not forget that Plantronics already plays in the tabletop audio conferencing endpoints market with its Calisto series of USB speakers. The Polycom acquisition will certainly provide the company with a huge installed base to target its USB connectivity portable series. While Polycom has been the leading IP desktop phone brand deployed within the Microsoft ecosystem, Plantronics has shipped approximately 8 to 9 million headset tops within the Microsoft Lync/Skype for Business, and now Teams, environments. Plantronics' acquisition of Polycom will certainly grant the professional headset leader a stronger overall endpoints position within the Microsoft ecosystem, with a wide array of Microsoft-qualified and -certified endpoints. Future growth in the video conferencing realm will be driven by a stronger adoption of video in diverse meeting environments, with rapid adoption coming from the next-generation, low-priced devices used in huddle rooms and open meeting spaces. Globally, there are 30 million huddle rooms and less than 5% of those are video-enabled. Plantronics can definitely build on Polycom's already robust video conferencing portfolio and its mission to enable ubiquitous video communications. Both Plantronics and Polycom have been considerably enhancing their software management and monitoring capabilities for business endpoints. Endpoint deployment, management, and monitoring are becoming key factors in UC deployments, especially in cloud-based UCaaS environments. While Plantronics has already made important inroads in this space with its Plantronics Manager Pro intelligent software services, Polycom's recent acquisition of Obihai's cloud-based management and provisioning service can certainly add new technological elements to Plantronics' mix, allowing the vendor to extend its monitoring and management capabilities to all types of business endpoints, and making Plantronics the vendor of choice for new endpoint services and solutions. While Plantronics already possesses more than 15,750 partners across the globe, Polycom brings more distributors and resellers into the mix, expanding Plantronics' reach internationally. 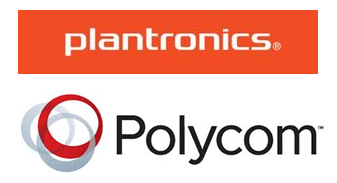 Also, Polycom brings A/V contractors, solution advisors, and system integrators to the Plantronics' existing partner mix, which is ideal for the expansion of Plantronics' Habitat Soundscaping, the company's intelligent acoustic management service. Finally, the professional headset vendor will also benefit from Polycom's strong presence in regions such as EMEA and APAC to better position its products against local leading brands. Plantronics can certainly leverage Polycom's prominent installed base of more than 400,000 companies and institutions to market its wide variety of professional headsets, including UC-enabled headsets, RJ9 headsets, wireless headsets (including Bluetooth and DECT), dual- and triple-connectivity headsets, and high-end noise-cancelling binaural stereo headsets. For businesses ready to move to a software-centric environment without a desktop phone, Plantronics will offer one of the largest product ranges of PC USB/UC-enabled headsets. For those that still prefer the desktop phone, Plantronics will now have the solid brand of innovative Polycom desktops, plus fully compatible RJ9 headsets. Overall, this acquisition is likely to deliver benefits to both vendors as well as their customers. Businesses will gain access to a broader portfolio of communications endpoints from a single vendor, while the new entity can leverage its combined strengths to accelerate growth and gain market share.